China’s largest carrier by fleet size to operate both variants of Dreamliner family. Boeing and China Southern Airlines have finalized an order of 12 787-9 Dreamliners, valued at $3.2 billion at current list prices. 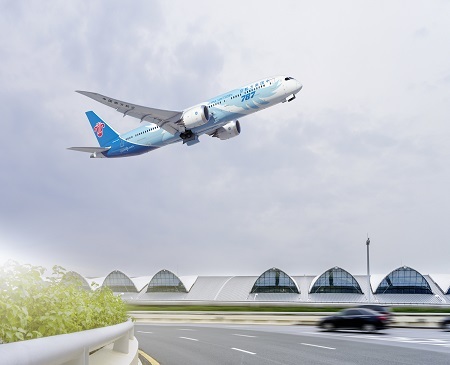 The new order strengthens China Southern’s expanding long-haul fleet. The 787-9 complements and extends the super-efficient 787 family. With the fuselage stretched by 6 meters (20 feet) over the 787-8, the 787-9 will fly more passengers and more cargo farther with the same exceptional environmental performance. Like the 787-8, the 787-9 brings the economics of large jets to the middle of the market, with 20 percent less fuel use and 20 percent fewer emissions than similarly sized airplanes. The 787-9 leverages the visionary design of the 787-8, offering passenger-pleasing features such as large windows, large stow bins, modern LED lighting, higher humidity, a lower cabin altitude, cleaner air and a smoother ride.